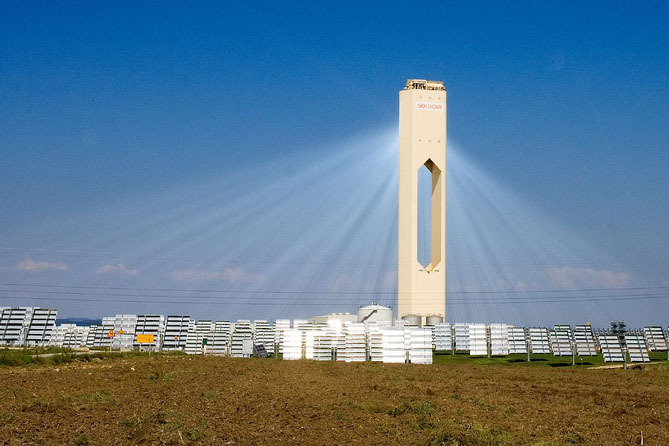 Concentrating solar power companies Abengoa and BrightSource Energy will soon team up to build the world’s largest solar tower facility in Southern California. The new solar development will be located on federal land, and it’s being facilitated by the Bureau of Land Management. The 500-megawatt Palen Solar Electric Generating System will create 2,000 new construction jobs, and it will produce enough electricity to power 200,000 households. The project was unveiled just hours after Interior Secretary Ken Salazar approved 900 MW of solar development in California. Solar towers generate power by creating steam that is used to turn a turbine. It’s very similar to the systems found in traditional fossil fuel or nuclear power plants, the only difference being that they use the sun’s energy to create steam and produce no emissions. The new development will consist of two 250 MW units in Riverside County, California. Over its lifecycle, the plant is expected to prevent the emission of about 17 million tons of CO2. Abengoa, BrightSource and Torresol Energy formed the Concentrating Solar Power Alliance last year in an effort to make concentrated solar power a bigger player in the US energy landscape. For the Palen project, Abengoa and BrightSource will work together to permit and finance the project. Under the agreement, BrightSource will contribute design and solar field technology, while Avbengoa will serve as the engineering, procurement and construction contractor. Construction is expected to begin at the end of 2013 and the solar plants are expected to come online in 2016. 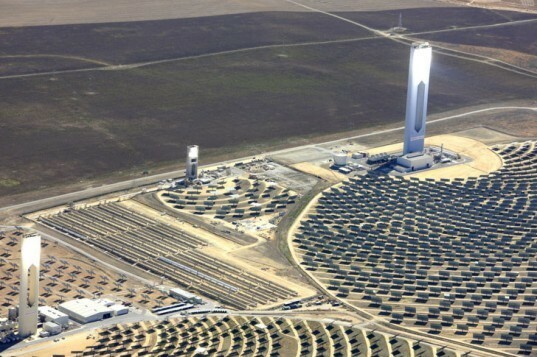 Concentrating solar power companies Abengoa and BrightSource Energy will soon team up to build the world's largest solar tower facility in Southern California. The new solar development will be located on federal land, and it's being facilitated by the Bureau of Land Management. The 500-megawatt Palen Solar Electric Generating System will create 2,000 new construction jobs, and it will produce enough electricity to power 200,000 households. The project was unveiled just hours after Interior Secretary Ken Salazar approved 900 MW of solar development in California.